XXVIII, 283 p., 17,2 x 24,5 cm. Merio Scattola (1962–2015) is said to be one of the leading experts in the field of the history of European political thought. 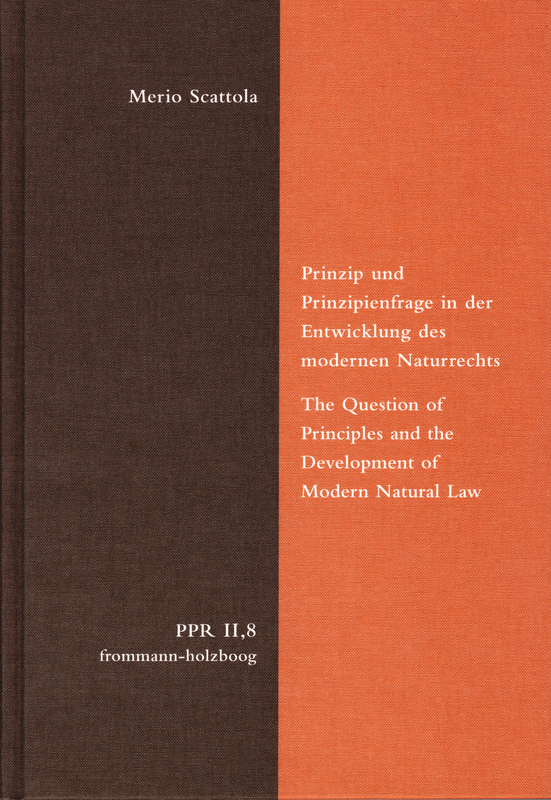 In his groundbreaking work ›Das Naturrecht vor dem Naturrecht‹ (Before and After Natural Law) (1999) he had studied the emergence of natural law in Western culture, and this work, with its original analysis of the further development of Scattola’s theories, provides the reader with a fundamental part of Scattola’s academic legacy. Focusing on basic methodological issues, it reconstructs a second path of development up to and including the neo-Thomist natural law of the 19th century in addition to the development of the systematic theory of natural law. Due to his consistent treatment of the key term, principle, Scattola was able to discuss natural law thought in the modern era as a question of principles from a historical and theoretical perspective.